January 5, 2017 10:00 am pickup, January 8, 2017 3:00 pm return. March 9, 2017 10:00 am pickup, March 12, 2017 3:00 pm return. 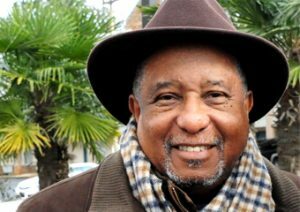 The itinerary will include visits to new museums and sites of the Civil Rights Movement led by Dr. Martin L. King, Jr.
We are privileged to have Dr. Bernard LaFayette, Jr. as our Tour Historian. He will be with the group for detailed explanation of the nonviolence strategy and philosophy Dr. Martin L. King, Jr. used for social change. Dr. King recruited and taught Dr. LaFayette, Jr. and other students, after which they joined Dr. King and the nonviolence movement. 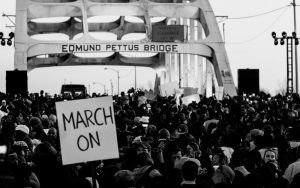 Dr. LaFayette will give details concerning Kingian Nonviolence philosophy and strategy espoused by Dr. King, Jr.
TOUR COST: $485.00 per person, Non-refundable deposit of $250.00 due by Jan. 9, 2017; balance due Feb. 9, 2016. Make check or money order payable to DDK Tours, 3996 Brookside Parkway, Decatur, GA 30034, include all contact details for each person. COST INCLUDES: Transportation from Hartsfield-Jackson International Airport, Atlanta, GA. Book return flights for 5 pm or later; 3 nights hotel accommodation (double occupancy) and breakfast; tour booklet; luxury bus ground transportation (as listed in itinerary); museum fees; honorariums; and Dr. Bernard LaFayette, Jr. who worked with Dr. King as our Tour Historian. For additional information contact Dr. Charles Collyer, (401)-258-9834, Dr. Pamela Zappardino (paxwarthog@aol.com) or DDK Tours – Charles, (770)-981-8718. Dr. Bernard LaFayette, Jr., Chairman of the Board, Southern Christian Leadership Conference (S.C.L.C. ), Atlanta, GA. The King Center Complex; Dr. Martin L. King’s, Jr. Birth home; Ebenezer Baptist Church; National Center for Civil and Human Rights, Atlanta, GA.
Tuskegee University and George Washington Carver Museum. Rosa Parks Museum and Dr. King’s home in Montgomery. Sight of Greyhound Bus burning during the “Freedom Rides.”. Birmingham Civil Rights Institute, Birmingham, AL.